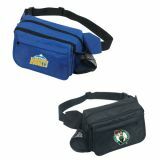 Custom fanny packs are unisex promotional gifts and they are perfect for promoting a business, organization and event. A fanny pack is the cross between a purse, a wallet and tote bag and it is one of the most innovative travel bags ever produced! 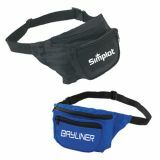 You can easily make a grand impact on vast demographic by giving away any of these custom imprinted fanny packs. Lowest price match guarantee offered. Free online design proof, free artwork assistance offered and 100% customer satisfaction guarantee. 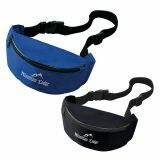 Logo printed promotional fanny packs are little handy travel bags that allow users to store their small essentials during the travel. 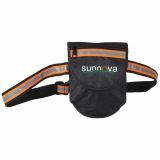 Most of these travel bags bear a simple design featuring a single large pouch held in place by straps that can be wrapped around the waist like a belt. This kind of personalized bag doesn’t delay movement nor does it require any extra managing efforts. 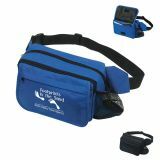 This compact sized travel bag allows users to go hands-free and manage their small items effortlessly. 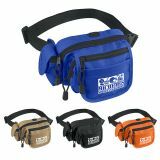 Your logo will easily go places from over these customized fanny packs. 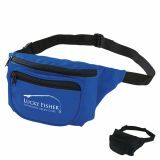 Customized fanny packs make an ideal promotional gift during tradeshows, business conventions, travel industry events and are perfect for pushing your sales on the World Tourism Day (September 27). These promotional bags are perfect to promote schools, organizations, awareness events, travel related businesses, airlines and much more. People would happily accept them because they remain manageable over their waist and allows them to forget the regular woes of travel. 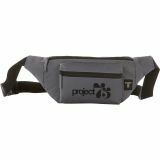 Proimprint carries wide varieties of user-friendly, budget-friendly and visually appealing personalized fanny packs perfect for traditional travelers. 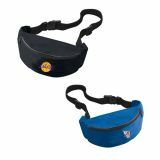 Budget fanny packs are loved by travelers because it allows them to manage their essentials such as snacks, makeup, wallet and keys. 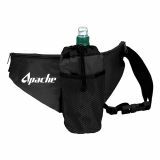 There are stylish and trendy adjustable fanny packs that would lend a retro touch to your promotions and they are going to rub some nostalgia into your campaign. 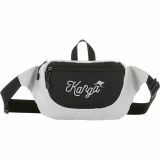 Customized deluxe fanny packs bear zippered pockets that allow maximum storage of travel essentials and they are good to carry during an air travel. 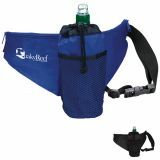 Water bottle fanny packs make a practical summer gift because people can carry their cold drinking water and store their essentials in multiple pockets. The insulated bottle holder helps to keep water cold and tasty. 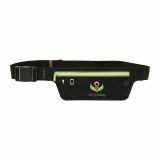 All-in-one fanny packs are perfect for techno-savvy travelers with their zippered pockets and cell phone pocket on the sides. 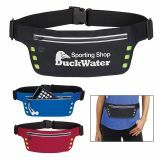 You can get your brand logo embroidered or screen printed over these fanny packs prior to distribution at the next promotional event. 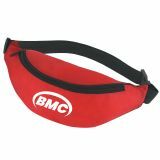 Call us at 888-560-2247 for quotes and we can give advice on the right kind of fanny pack for your target audience.